Samsung mobile users are always on hibernation mode when it comes to imei tweaking. Meanwhile, the MTK are just changing imei any how because of its simplicity. Earlier, Samsung users tweak theirs with Octopus box which cost them much and even the box is scarce only phone engineers make use of it. Pay full attention the steps because you will start cloning your imei like the mtks After reading through this post. NOTE: I won't be liable for any damage of your device. You have to follow these guidelines carefully. Anyway, you have nothing to be really afraid of as far as you follow these tutorial very well. AVOID MISTAKES!!! 1. First of all, you will nee to make nandriod backup of your device before trying this out. 4. After downloading them, now launch exposed installer. 6. 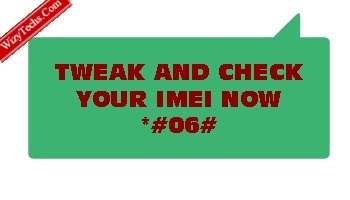 Click modules to enable imei changer. 8. click apply then restart your phone. (*#7284#) - If One of these codes DOES NOT work for your device please be courteous. enter your email, you will have to check your inbox for a confirmation message containing a confirmation link. Once verified, you will never miss any future updates or articles. Like us on facebook and Follow us on Twitter.